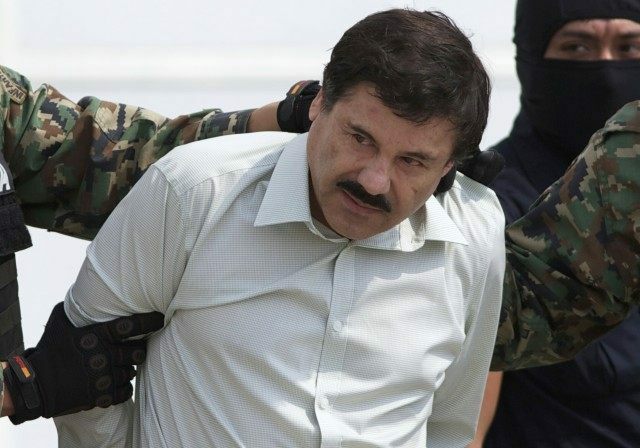 Online giant Yahoo has fallen hook, line and sinker for a debunked story claiming that Mexican drug lord El Chapo has posted a $100 million reward for leading presidential candidate Donald Trump. In an apparent lack of any evidentiary standards, the story written by Trace William Cowen and published by Yahoo News is nothing more than an aggregate of a story by HNGN which is also an aggregate of various lesser known outlets of unknown reputation. The series of aggregations all trace back not to groundbreaking investigative reporting in Mexico, but to a series of tweets that have since been debunked. However, journalists in the U.S. continue to pass them off as fact. 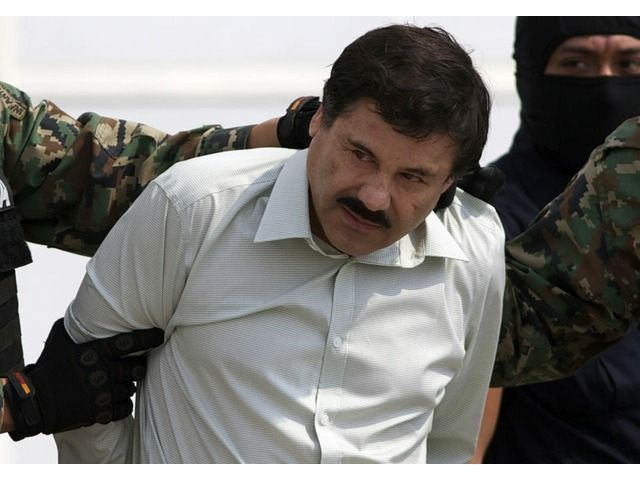 The story deals with famed capo Joaquin “El Chapo” Guzman Loera getting upset at the border comments made by Republican presidential candidate frontrunner Donald Trump and putting a bounty on his head. Those claims all come from a series of twitter accounts that have been debunked in the past. As Breitbart Texas previously reported, one of those Twitter accounts claiming to belong to El Chapo’s son, which various outlets have reported as true, posted a photo of a family in Costa Rica and claimed that it was El Chapo. 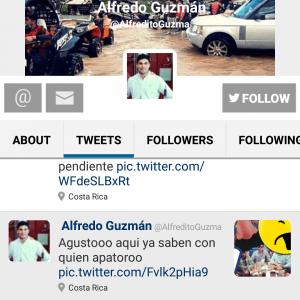 Multiple news outlets fell for the photographs and reported it as fact claiming that the famed drug lord was in Costa Rica. 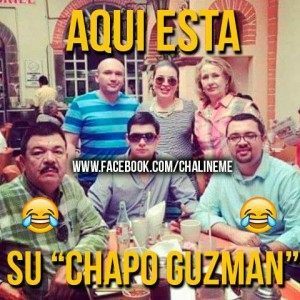 The photo was debunked by a Mexican musician who posted the original photograph that showed Guzman Loera was nowhere in sight. Meme made by musician Cesar Chalin EME which mocked the Chapo media storm caused by the doctred photo. Those accounts also published some photos earlier this year soon after Guzman Loera escaped from prison that showed the mustachioed capo flying a plane and drinking a beer. 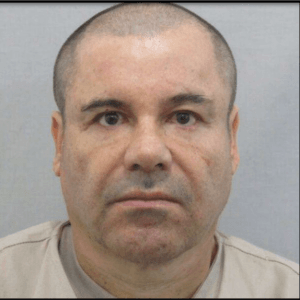 Those photographs, as reported by Breitbart Texas, were also debunked when Mexican authorities released a photograph of the capo in prison without any facial hair as per regulation. A new jail photo of El Chapo. 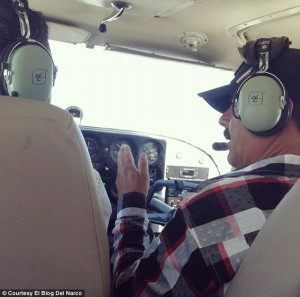 In his story, Trace William Cowen displays his knowledge of Mexican drug cartels by never referring to Guzman Lera by name nor by the organization he leads, he only calls him El Chapo. The writer further makes opens himself off to ridicule by quoting and aggregating a story by TelesurTV. The story not based on original reporting, intelligence files or documents but it also based off the multiple debunked tweets.